11th Annual Viennese Waltz Funtensive! DSE, going strong since 2002! DanceSport Endurance Bootcamp Funtensives! from Todd Borzych on Vimeo. Need Shoes for Tango or Salsa?We carry the below styles and more! “Oh, well. What’s a royal ball? Prepare for the Balls with DC’s most elegant of dances! 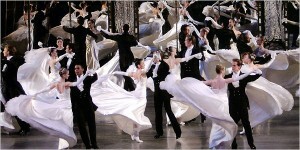 What: An immersive camp teaching the elegant Viennese Waltz to three levels of students. No partner or previous experience necessary for the Beginner Level. Experience needed for Intermediate and Advanced sessions. Prices Rise at the Door! Immersion is the Best way to learn! Washington DC is the Mecca of Viennese Waltz for the United States- Over ten balls a year, packed with waltzers, meeting and dancing and creating intrigue! How best to prepare for such a ball? Immerse yourself! We will slowly but surely teach you skills in the Viennese Waltz to prepare you for this incredible experience, with a series of sessions divided into Beginner, Intermediate, and Advanced stages of dancing. You will learn basics of several styes of Waltzing, to include Smooth, Standard, and social style ! 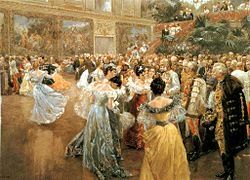 By the end, you will have developed skills that will enable you to function socially in any Viennese Waltz setting, and you will also make a lot of dance friends while doing so. If you have been to past immersions, remember, every year we teach different movements, so you can still learn more. Additionally, past immersion participants are “bootvets” and receive 15% off this and other immersions! After the camp, join all of your new friends at Glenn Echo’s 36th Annual Strauss Ball on Saturday 4 May! Brand new Beginners with no experience in ANY dance: recommended registration is for the first 4 sessions. Beginners with SOME experience in any dance: you may register for the first 4 or the first 6 sessions. Full Intermediate level in V. Waltz: We recommend you attend all 8 sessions or sessions 3-6 or 4-7, depending upon your level and confidence in your skills. Intermediate II or Advanced students in V. Waltz: You may register for any 4, 6, or the full 8 session camp. Out of Town students with a experience may want to consider attending the Fri-Sun sessions. Bootvets (former camp graduates) receive a 15% discount off. Referral Bonus: Past Attendees (bootvets) who bring a brand new guest for the full camp will receive a $75 credit back for each new attendee who signs up (up to the maximum value of your camp attendance). Just email Todd and let him know who the new attendee is! Payments by check may be made out to “DANCESPORT ENDURANCE, LLC” and sent to 7507 Pleasant Way, Annandale, VA, 22003. To pay cash, drop by any of our classes! For further information, call 202-361-8633 or 703-298-3577. To use Venmo, please email or call Todd. Todd Borzych and Migle Gineityte. Todd and Migle have performed Viennese Waltz at the Hoffburg Palace in Vienna, the Austrian Embassy in Washington DC, and many other venues. They love to dance multiple styles of Viennese Waltz, fusing International, American, and Folk style into their love of the dance. They are masters of the immersion technique for teaching students to dance. Together they have taught thousands of students to dance in socials, weddings and performance settings. Migle danced competitive ballroom in Europe from the time she was 4 years old, has a degree in Modern dance, and teaches dance at George Mason University. Todd has danced performance ballroom, Argentine Tango, and Salsa for over 20 years and is the founder/creator of DanceSport Endurance, a dance workout for ballroom dancers that has inspired dance athletes since 2003. If you’d like to link up via facebook, search DANCESPORT ENDURANCE! If you have friends who would like to be on the dancesport endurance dance mailing list, it would awesome if you could send them this website. 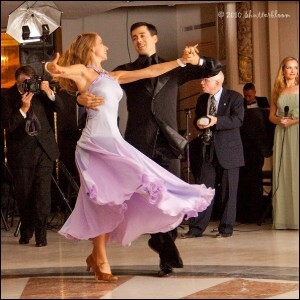 The emails are sent out approximately once every week or two weeks and contain information on the best dance events in DC as well as all of the classes offered in DanceSport Endurance and several social dances, to include Viennese Waltz balls, Tango Milongas, Swing dances, Salsa, ballroom, latin, and more! The DanceSport Endurance movement grows everyday. Over 3000 students have begun dancing through Dancesport Endurance, and the number increases every day!